You know it: It's much easier to use a software which has an interface in your own language. 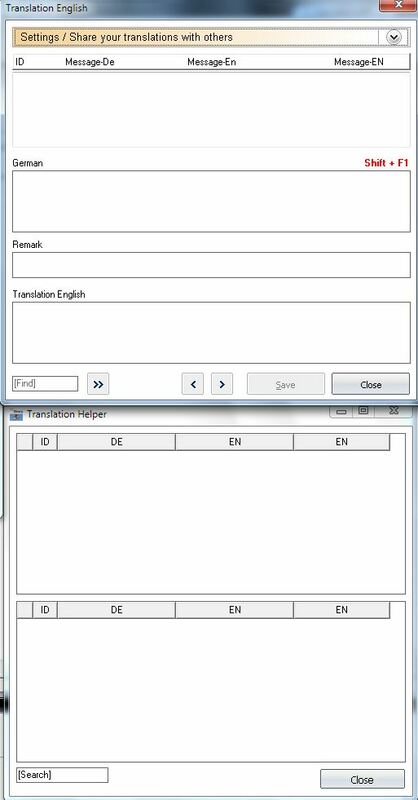 For this reason SiDiary has an inbuilt tool to translate SiDiary in your language (or to enhance the given translation of your language). 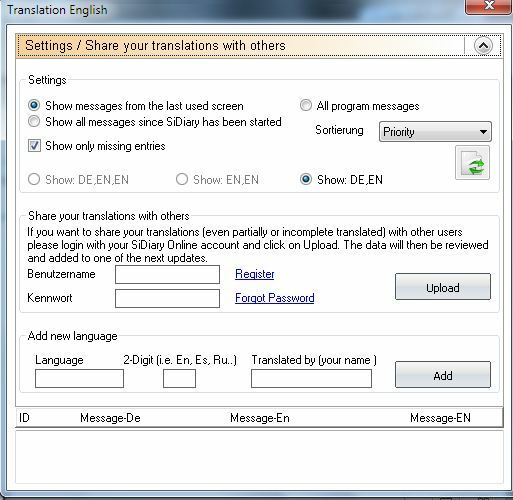 After this you can close the settings dialogue and start with the translation. The arrow marks a small helper: with this kind of progress bar you can see how the translation would fit with the given space for a text. For example: a button has a given space, so you can't enter a text with unlimited length on it. The bar will show you how many space you can use for the translation. It should not be filled with 100%. 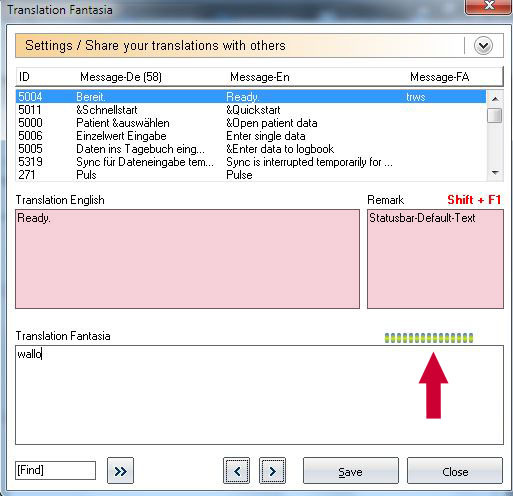 You can check the result of your translation in the program of course, because all translations will appear in the program when you saved your work. Sometimes phrases have special signs like '&' or '%1'. The '&' sign has the effect, that the following letter gets an underscore to indicate this menu point can be accessed by hitting this letter on a keyboard. So you can use this sign as well in your translation. The '%1' should not be changed or edited in any way, because this is a placeholder for a dynamic value.